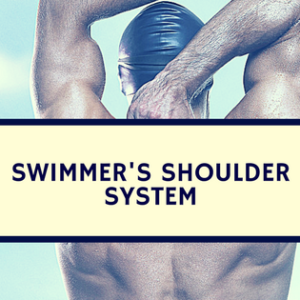 Want to know how to ride waves in swimming for higher velocity? In my home-country, Portugal, it is the giant waves’ season. Surfers from around the world travel every years to Nazaré (that is the name of the spot in South Europe, Portugal) hopping to ride a giant wave and break once again the Guinness World Record (Ensor, 2013, Oct 29). On the other hand, for swimmers waves are on the top of their concerns. Swimmers traveling at the surface push water out of the way as do ships, fishes and other aquatic animals. 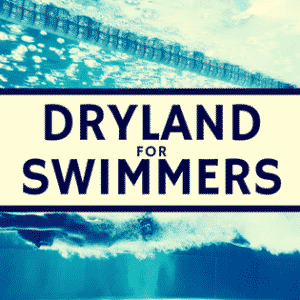 Whenever a swimmer creates a wave, he is transferring energy to water. So that energy is a waste and cannot be used for thrust. As swimming velocity increases, likewise the length between two waves (i.e., crest-to-crest distance) also increases. Therefore, at a given velocity the wave-length is equal to the swimmer’s height. This speed is known as “hull velocity” and the swimmer will be “trapped” between two waves (Figure 1, top). But if he increases the velocity, he will have to swim uphill the wave, which is energetically very demanding (Figure 1, bottom). In a way, just like surfers, if a swimmer exceeds his hull velocity will be riding the wave and hydroplaning (Vennell et al., 2006). I should stress out that the hull velocity is kind of old-news in naval industry, but even so very useful for us, sports analysts. For instances, sprinters might try to ride the waves to hydroplane. Middle- and distance swimmers could try to reach the hull velocity and keep it, to save some energy and be more economical. So, do elite swimmers, even unconsciously, pace themselves according to the hull velocity or not? Figure 1. 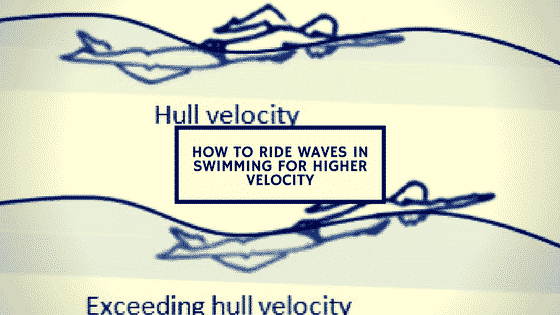 A swimmer displacing at the hull velocity (top) and exceeding the hull velocity (bottom). The aim was to compare the race and the hull velocities of a sprint (men 50m freestyle) and a middle-distance race (men 400m freestyle). It was analyzed the three medalists of the 50m and 400m freestyle final at the London 2012 OG. Gold, silver and bronze medalists of the 50m freestyle were Florent Manaudou (France), Cullen Jones (US) and César Cielo (Brazil), respectively. At the 400m freestyle the podium spots were snatched by Sun Yang (China), Taehwan Park (South Korea) and Peter Vanderkaay (US). The movies of the men 50m and 400m freestyle finals were retrieved from the Olympic Games official website (www.olympic.org/olympic-results/london-2012/swimming). Clean swimming velocity between the 5th and 45th meters was measured with a motion analysis software (Kinovea, v.0.8.15, Bordeaux, France). The mean value of all splits was used for further analysis of the 400m freestyle race. Medalists’ heights were obtained from the Olympic Games official website. To calculate the hull velocity we need to input the swimmers height, the gravitational acceleration and a constant value. As usual I will skip the math, but you may find more details in some textbooks (e.g., Vogel, 1994). The three 50m freestyle medalists and Taehwan Park at the 400m freestyle had a race velocity higher than the hull velocity (figure 2, left panels). This suggests that sprinters indeed try to ride the waves. E.g., Florent Manaudou and Sun Yang are almost of the same height. The French swimmer is 1.99m tall and the Chinese 1.98m. So, both have similar hull velocities. 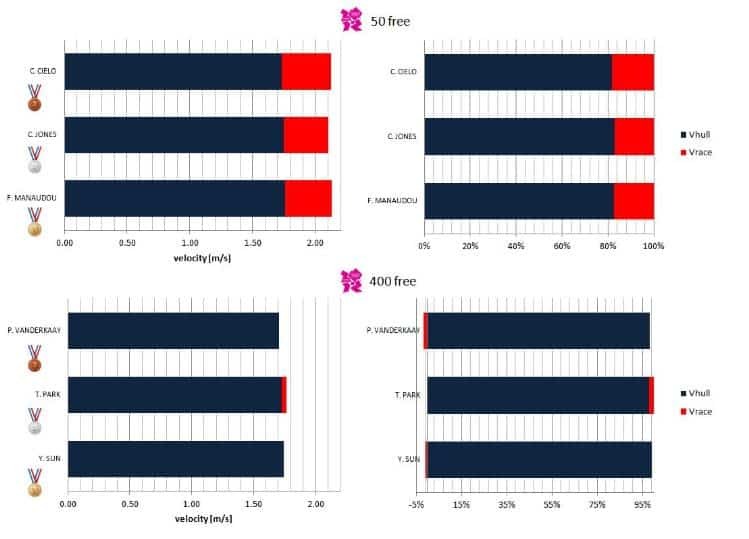 However, Manaudou swam almost 25% faster and Sun 3% slower than their hull velocities (figure 2, right panels). Park is the only middle-distance medalist that swam faster than his hull velocity (around 2%). The Korean swimmer might need to exceed the hull velocity as he is the shortest of the three (i.e., 1.83m tall). Nevertheless, as rule of thumb, middle-distance swimmers seem to be trapped (or should I say, they “want” to be trapped?) in the hull, so that they are saving energy and being more economical. There is a huge discussion if a swimmer should be effective or efficient (e.g., Komar et al. 2013). But if you see the world in black and white you are missing all the grey scales. 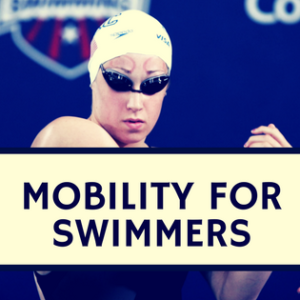 No elite or world-ranked swimmer relies exclusively on the effectiveness or efficiency. There is a need to compromise and to balance the things. Just to stress out that for age-group swimmers the reasoning is slightly different. Young swimmers should put a strong focus on the technique and therefore on the efficiency (Barbosa et al., 2010). Some other time I might address this topic. But getting back on track, and explain the data of our Olympic medalists. Sprinters care less about being economic and more on being effective, while distance swimmers is the other way around. Sprinters try to achieve the highest speed they are able to in a very short time. So they ride the wave, even though spending more energy. On the other hand, middle-distance swimmers have to pace themselves, saving energy for the three and a half minutes of the race. Therefore, middle-distance swimmers will try to go in between the waves so that they do not run out of energy to early. Figure 2. Comparison of the hull and race velocities (left panels) and its partial difference (right panels) of the men 50m and 400m freestyle medalists at the London 2012 OG. As a take home message: (i) elite sprinters exceed the hull velocity and ride the waves to hydroplane as it might increase their effectiveness; (ii) middle-distance swimmers (notably at the 400m freestyle) pace themselves to displace at the hull velocity, saving energy and being more efficient. Komar J, Sanders RH, Chollet D, Seifert L (2013). Do qualitative changes in inter-limb coordination lead to effectiveness of aquatic locomotion rather than efficiency? J Appl Biomech. Online first. Vogel S (1994). Life in moving fluids: the physical biology of flow. Princeton University Press. Princeton.